In his short career as an endurance driver, Gary Hirsch has already won two European Le Mans Series championships. He claimed the LMPC driver title in 2013 with team mate Paul Loup Chatin. 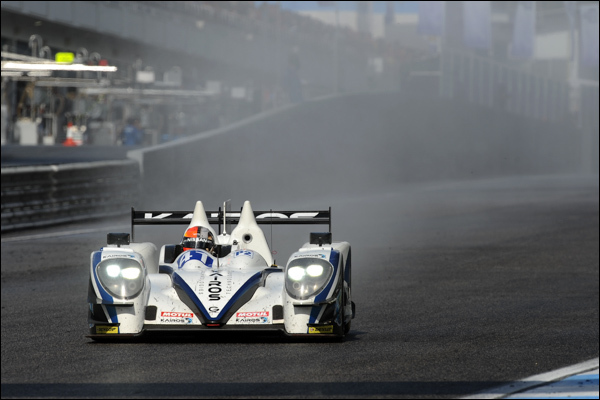 This year, he shared the LMP2 driver title with Jon Lancaster and Bjorn Wirdheim aboard the Gibson of Greaves Motorsport. DSC met the Swiss driver to discuss the highs and the lows of his exceptional past season. Gary, you left Morand Racing for Greaves Motorsport last winter. Tell us how your integration in this team went? “I had been in contact with Tim Greaves for a while. We both wanted to work together, so I tested the car in Portugal after he invited me. The Gibson chassis was different from the Morgan but felt very balanced right from the start and was perfect for my driving style. Your season started with a win at Silverstone. What were the deciding factors behind that victory? “Silverstone was the right track for our car’s aero. On top of that, some of the defects I had noticed during our winter testing were corrected with the new Gibson kit. I started the race from pole with the delicate task of doing two stints on a single set of tires. We played it safe and that was the right strategy, as our immediate contender [Jota Sport] did one more pit stop than us. Your car was slightly behind during the second race of the season in Imola and after Le Mans on the Red Bull ring. What happened there? “Imola was indeed a different story. Our Gibson was not the best with curbs. Furthermore, we were pretty unlucky with the three safety cars. On one of them, I was caught unawares by the low temperature of the tyres and span. In the end, we finished third after Jota received a penalty. Not a perfect week-end but not an awful one either. 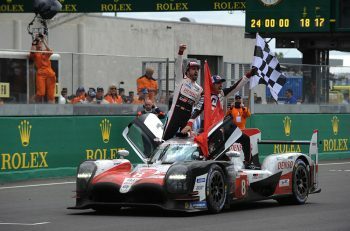 Le Mans was definitely not your best result this year (DNF), but it was memorable. 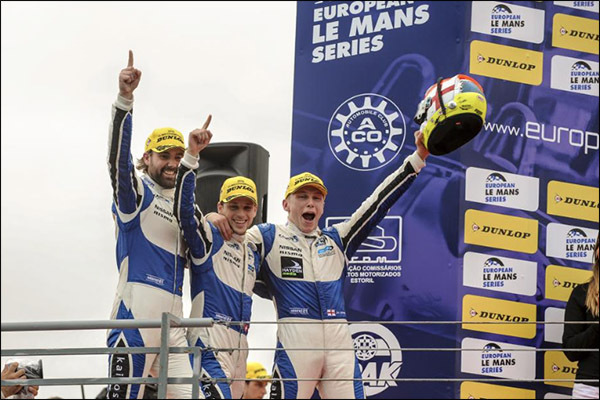 What were the highlights of your race-week in La Sarthe? “The first challenge we had to face in Le Mans was the integration of Gaetan Paletou [replacing Bjorn Wirdheim] in our driver lineup. We knew that one of the keys to success was making sure he felt confortable with us, so we paid extra attention to that. He quickly proved he was up to the event and that built up everybone’s confidence. The car was good with its Le Mans aero kit. I took over from John towards 6 pm. 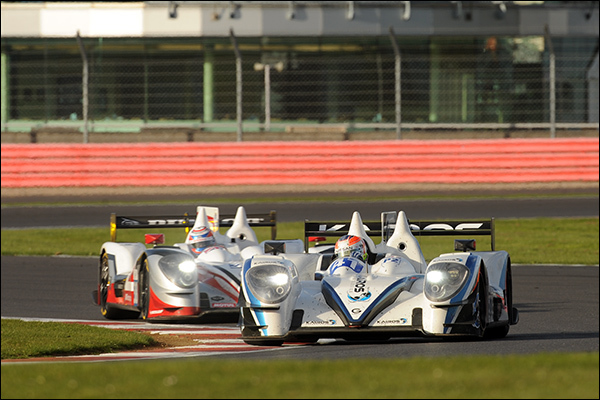 Things were going well [second position behind the leading KCMG] until I was in my third stint. I was doing some fast laps when my dashboard indicated “Low Battery”. 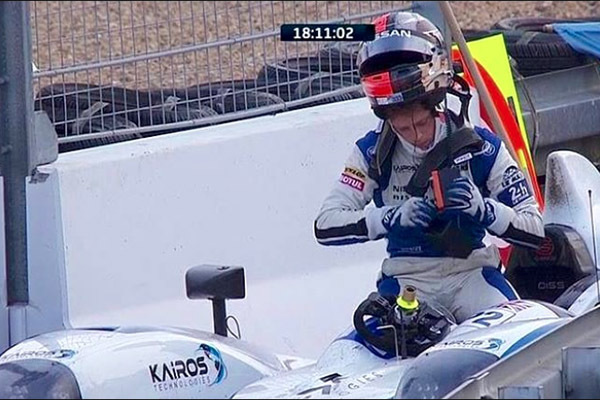 I remember being at the Ford chicane at that specific moment… really bad luck, since I could have come into the pits a few seconds before that. When I reached the Dunlop chicane, I had already lost the radio and power steering. Then the dashboard went dark, and the engine ended up shutting down as I was letting the car coast along after the Dunlop bridge. I parked the Gibson and then took out our emergency kit, which included a mobile phone. After getting someone on the line, I disconnected the battery of the car and reconnected it. Still, nothing was happening, so I reverted to setting the safety battery up. Once I was done, the dashboard finally lit up. At that point, the public could see what I could see. We had high hopes! I could hear and see them cheering. “I really thought I was going to get the car back on track. Unfortunately, I was never able to turn the engine on again. It was undoubtedly a frustrating race, but it helped me develop special ties with the team and our fans. After Le Mans and the Red Bull Ring, you had another win at Le Castellet. What made the difference this time? 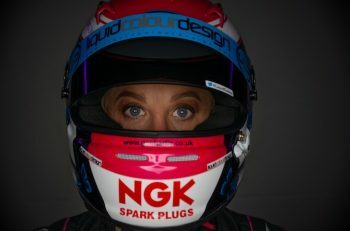 “We worked very hard with the team on preparing the Le Castellet round, looking at improving some of our procedures, such as ones we used for changing drivers. Futhermore, we had already tested the car on this track back in March, so we felt very prepared overall. “We had a good race, finishing first with some help from Jota [the car receiving a 45s penalty after Felipe Albuquerque exceeded maximum driving time]. After Ricard, we knew we could win the championship if we ended up ahead of Jota Sport. It was indeed a mad race with several incidences of rain. I love driving under the rain. This time, I was on slicks, and it was hard to keep the car on the track. “I was very cautious, especially after the team told me that Dolan was in the gravel trap. Once the rain stopped, it was just a matter of pacing ourselves versus the Jota. But the drama was not over yet. We were called into the pits for a penalty after I loosened up a seat strap. Drivers do that often on the track for more comfort, so even though I respect the race director’s decision, I still don’t understand it. Right after you aquired the ELMS Champion title, your driver ranking was changed from silver to gold. How has that affected your search for a drive in 2016? “Needless to say, I was a little surprised to see my ranking change from “silver” to “gold”, whereas I still see myself as a “bronze” driver [he laughs]. In all seriousness, I respect this decision, but the system could really be more transparent. “Look at the 2015 WEC world champions (in LMP2): their ranking did not progress in 2016 [Rusinov ranking actually going from Gold to Silver. Canal (silver) and Bird (platinum) rankings remained unchanged], so why was mine converted to gold after my ELMS title? “Silver drivers are actively sought after by good teams, so having my ranking changed to “gold” does not especially help. That being said, I’m working on different options, including Greaves. My wish for next year is to drive in the WEC for a team with the potential to win races. I would also like to be at the wheel in a classic US endurance race such as Sebring.